Nothing says you are a serious cook quite like having your own house dry rub. Don’t be intimidated by the thought of making your own, and don’t think that the store-bought dry rubs have perfected the art, either. Constructing your own dry rub is a way to make your mark and take your grilling to the next level. At its most basic, a dry rub is a mix of seasonings applied to a meat that will be cooked. 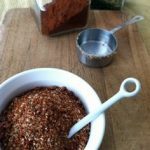 A dry rub is made up of four basic elements: a combination of salt and sugar, a pepper, transition spices, and the signature flavors. The interplay of how these four pieces come together develops complexity and highlights the best that a cut of meat can deliver. Let’s look at how to start putting together your own dry rub. Barbecuing is not only big business in North Carolina, it’s part of the state’s history and heritage. While there are several styles of sauce throughout the south, East Carolina and Lexington are primarily the two Carolina style sauces. These may have originated in the same area, but they are two very different styles of barbecue sauces. 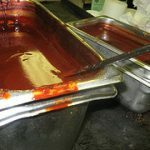 The following describes what exactly makes East Carolina Barbecue sauce unique, and different ways to make and use this type of sauce. 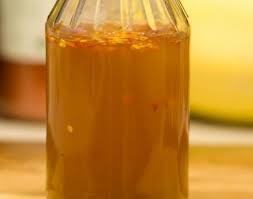 East, or Eastern sauce, is vinegar and pepper based. Unlike Lexington style, there aren’t any ketchup or tomato products added to the sauce. 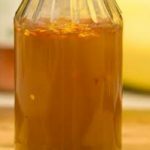 This vinegar based sauce may be one of the oldest sauce recipes in the country. 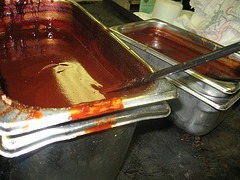 Since vinegar is a crucial ingredient in all East Carolina Barbecue sauces, the types of spices that are added are usually the “secret” ingredients that make each sauce unique. Everything from garlic and nutmeg, to even a touch of whiskey may be part of an old family recipe that’s been used for generations. While there’s literally dozens, perhaps hundreds, of store bought sauces to choose from, it’s better to make your own.